Want in on a little known fact about me? I’m obsessed with lobster. I’m actually convinced it’s the world’s most delicious food. Oh, and I’m equally in love and obsessed with all things New England. 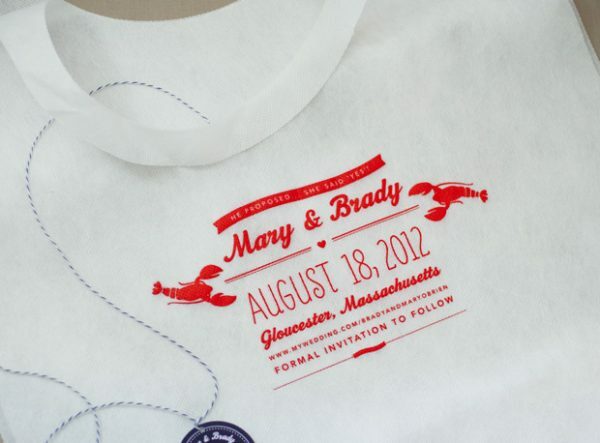 So these amazing lobster bib save the dates? 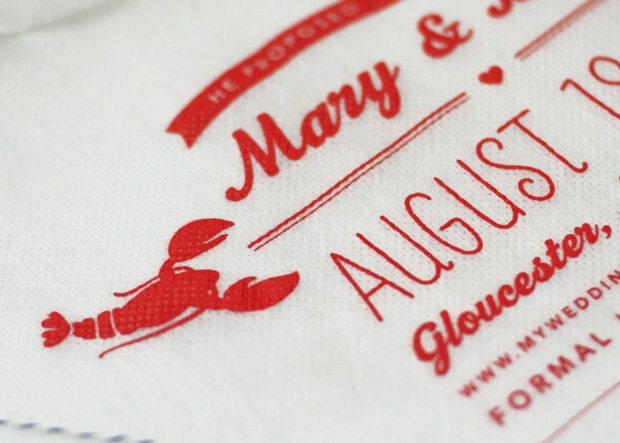 (Yes, lobster bib save the dates!) Well, they’re basically completely awesome in my book. 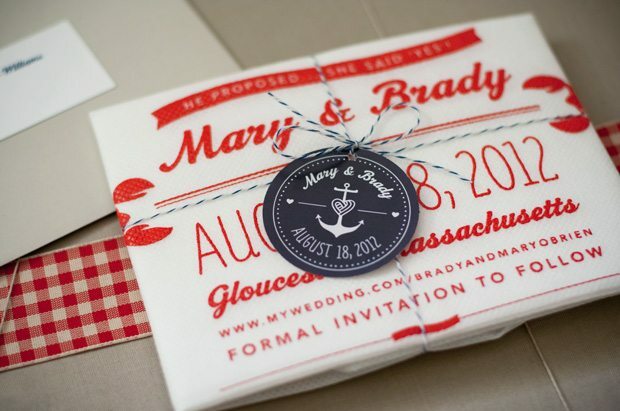 Shared by the lovely Laini of The Curious Ink, the save the date design was screen-printed onto lobster bibs, folded, tied with navy bakers twine and adorned with a navy tag. 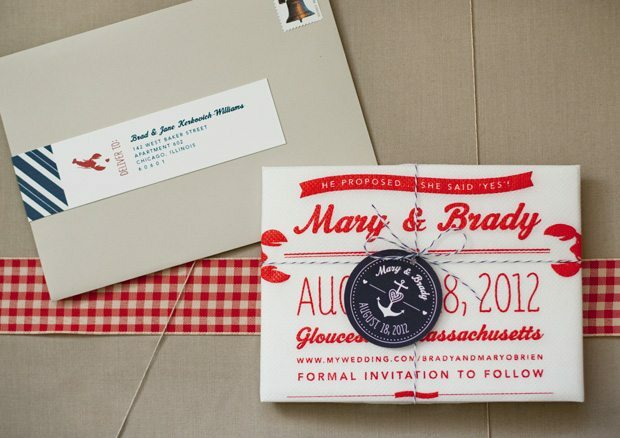 Can you think of anything more perfect to get guests excited about a New England beach wedding complete with a lobster bake? I know I can’t!